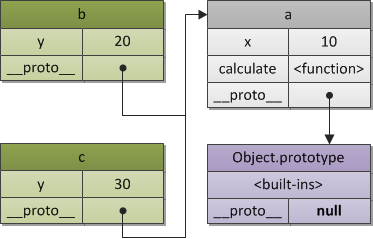 An object is a collection of properties and has a single prototype object. The prototype may be either an object or the null value. 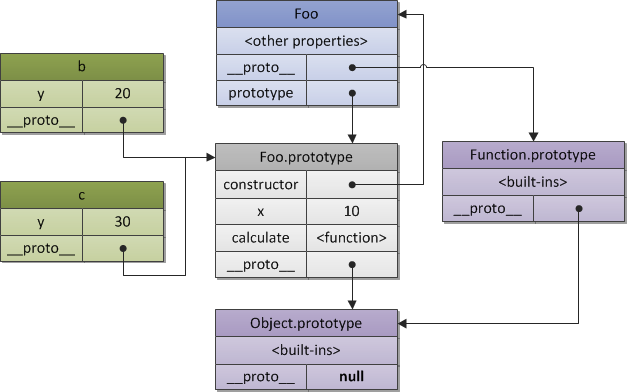 A prototype chain is a finite chain of objects which is used to implemented inheritance and shared properties. 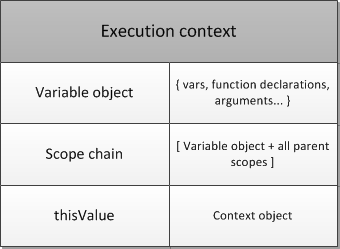 A variable object is a scope of data related with the execution context. It’s a special object associated with the context and which stores variables and function declarations are being defined within the context. 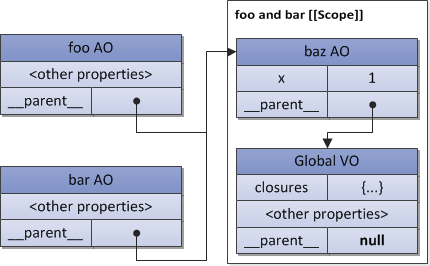 A scope chain is a list of objects that are searched for identifiers appear in the code of the context. A closure is a combination of a code block (in ECMAScript this is a function) and statically/lexically saved all parent scopes. Thus, via these saved scopes a function may easily refer free variables. 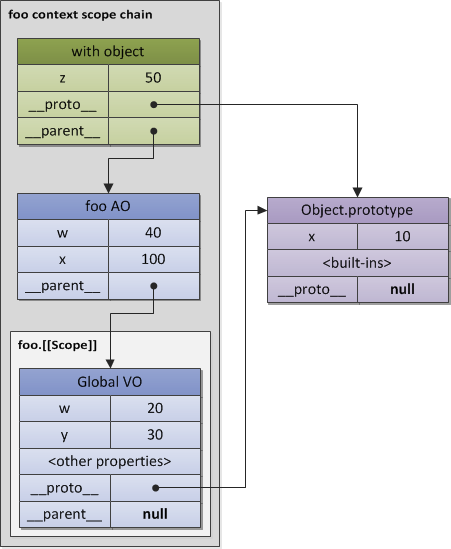 A this value is a special object which is related with the execution context. Therefore, it may be named as a context object (i.e. 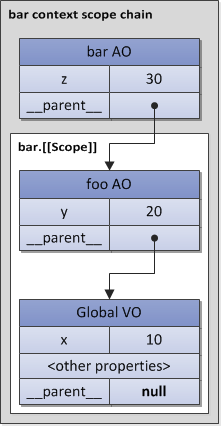 an object in which context the execution context is activated). 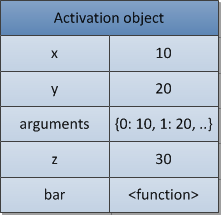 a this value is a property of the execution context, but not a property of the variable object.